Science, Technology, Engineering and Mathematics (STEM), has been described as the key to unlocking Nigeria’s technological advancement, hence the need for immense emphasis to be placed on it by government and relevant educational authorities. The fair held at the Anthony Campus of the school. 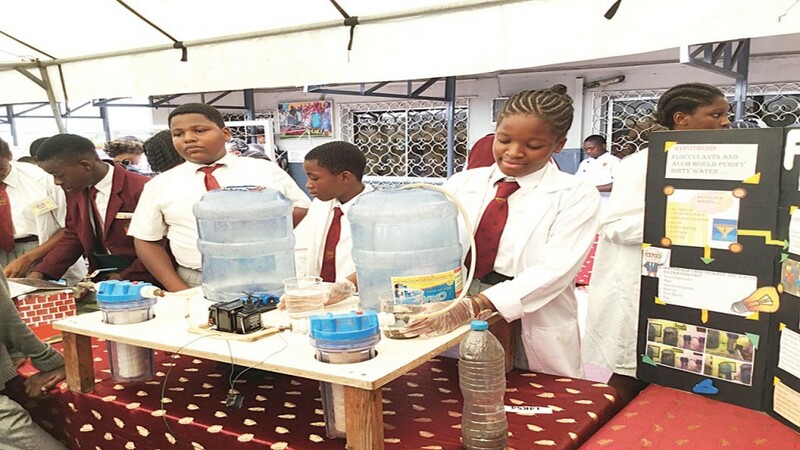 At the event, students presented designed projects in science, technology, engineering and mathematics that are capable of solving some of society’s problems if perfected and executed on a large scale. Among other reasons, the fair was meant to stimulate students’ interest, curiosity, and desire to explore the world they live in; to provide students with opportunities to learn, understand, and apply the scientific, mathematical and technological skills they have acquired during the course of their learning in these various subjects, and to encourage the acquisition of important research skills using a wide variety of resources including books and hands–on materials. Additionally, it was also to show a connection between what is learned in the class and what happens in real life; to foster independence in the students by providing the opportunity for them to take initiative and responsibility in completing a long–range project as well as to motivate and stimulate students’ interest in using scientific steps to solve problems. Guest speaker at the fair and Head, Packaging Technology Division of Federal Institute of Industrial Research Oshodi, Lagos State, Dr. Sakirudeen Ajani, charged the students to pay great attention to STEM as this remains the only vehicle that can take us to our anticipated destination as a country.In his submission titled “Gap to Fill,” Ajani mandated the young minds to explore the possibility of filling the scientific gaps in our society and also break scientific bounds. “You must think of how to fill the scientific gaps in our society and break scientific bounds. You have to do this fast because of the quality education and exposure you have had, and because the world is not waiting for you,” he said. Head of Anthony Campus of the school, Helen Brocklesby, in her remarks insisted that the bulk of niggling problems causing Nigeria and the world so much pains could be addressed if the students purpose in their hearts to devote a lot of energy and attention to the study of STEM, a move she said would also enable the country to keep pace with its contemporaries. Specifically, he urged them to develop interest in researches that would lead to food security, mitigate the effect of climate change and make the environment safe and clean for human habitation.